The two sentences above are by no means mutually exclusive. If we could redress agriculture to organic, we’d solve a huge pollution problem and do great service to our country. I’m not just talking about fossil fuels burned in the making and transport of unsustainable pesticides and herbicides in GMO production…. I’m talking about retiring the billions of tons of pesticides that would not be polluting our soils and water. We need clean water, soils free of toxins as a basis for a healthy country. I see change everywhere and it’s just getting better and better. While at Paris’ Charles de Gaulle Airport, I was so beside myself with joy that I had to pinch myself. There is a new snack bar that was doing so many things right! 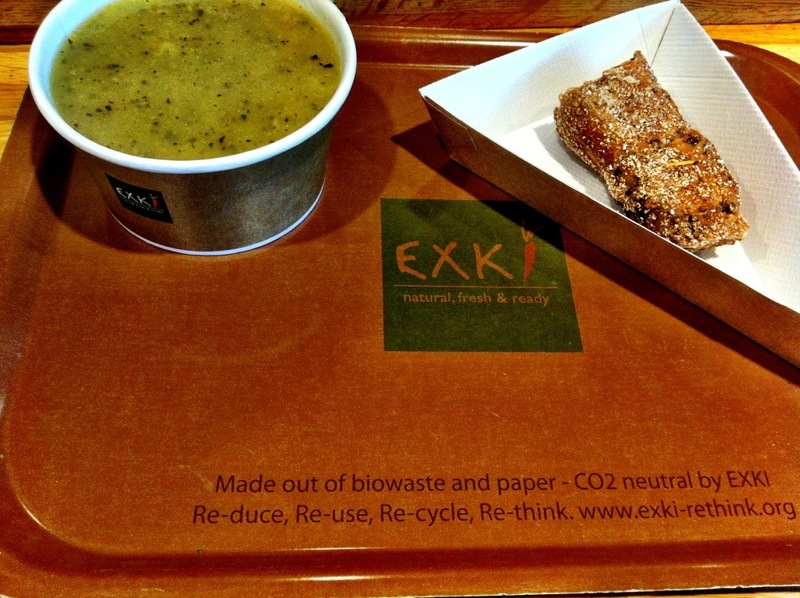 From their trays, to their organic breads, wines. And there was a huge line (which wasn’t great) but shows that it’s super succesful. Taste was the ultimate test. And it was awesome. With pure ingredients, cooked by the French, how could be anything but? 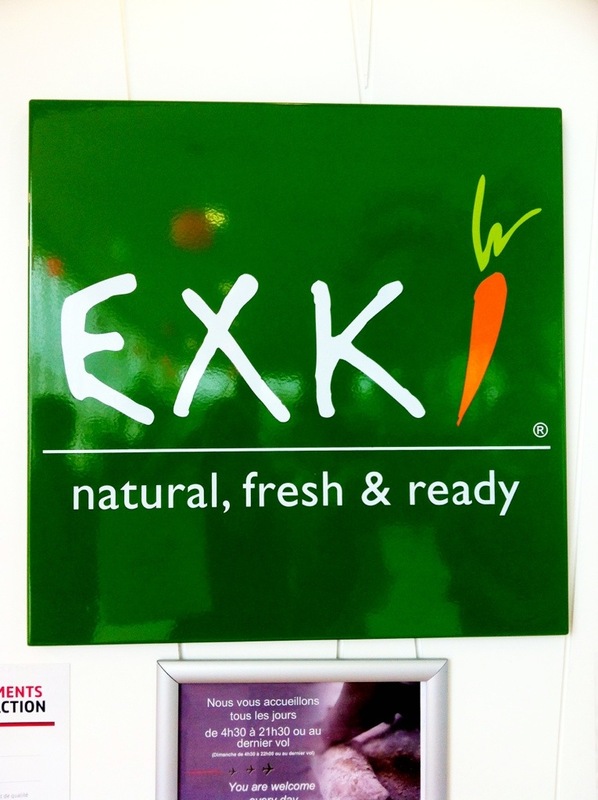 Exki is a play on the French exquis. Exquis means delicious, distinguished, charming or of a particular charm. 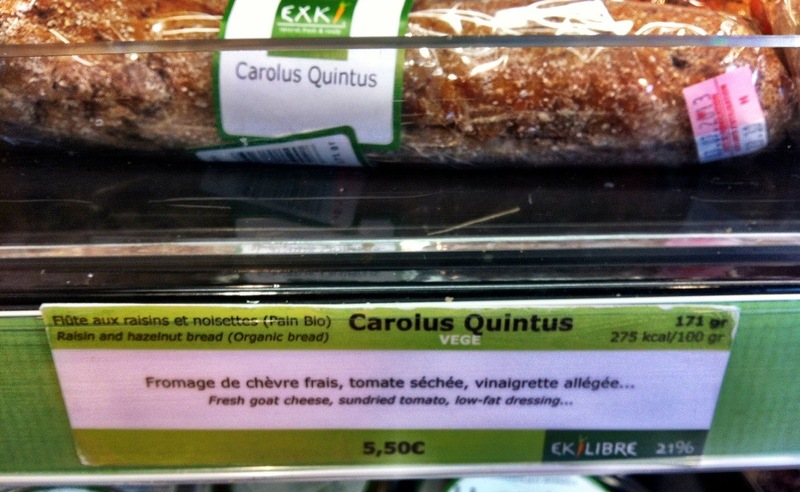 I think of it as French for Exquisite – makes it easier to remember. The soup ingredients. Instead of cow milk, they used soy milk. It felt made to order – for me alone! Look at the writing on the tray above. Woo hoo. 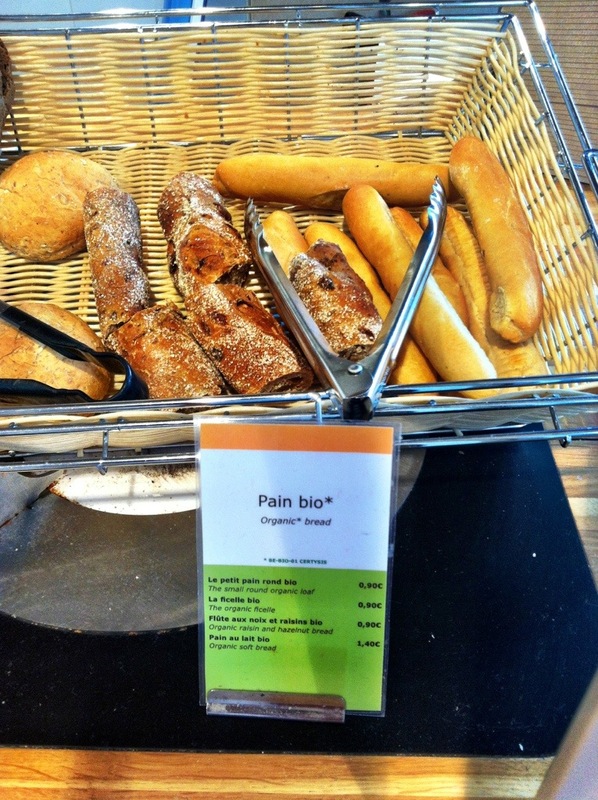 Selection of organic (Bio in French) breads above. Below a sandwich made with organic bread. 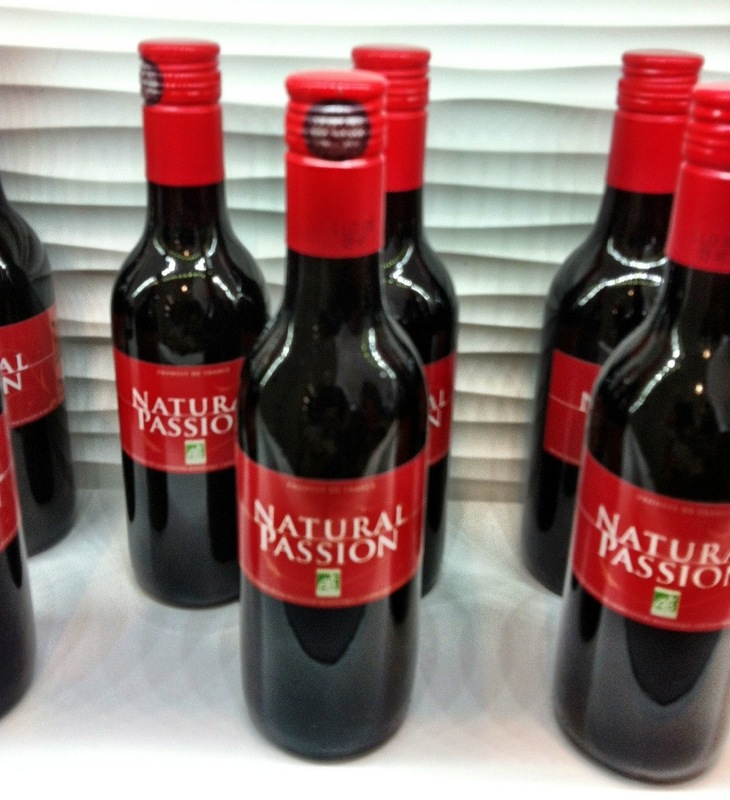 How better to pair your organic foods if not with a small bottle of Organic Wine? 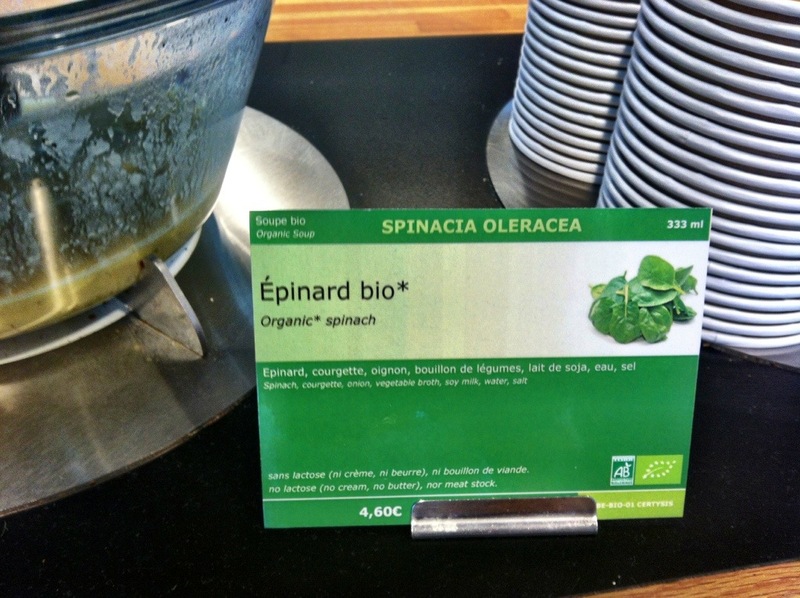 This entry was posted in Food heros, Organic, Sustainable Business, The Environment and tagged Charles de Gaulle Airport, Exqi, organic bread, organic soups, organic wine, Paris on August 1, 2013 by Gurdeep Stephens.